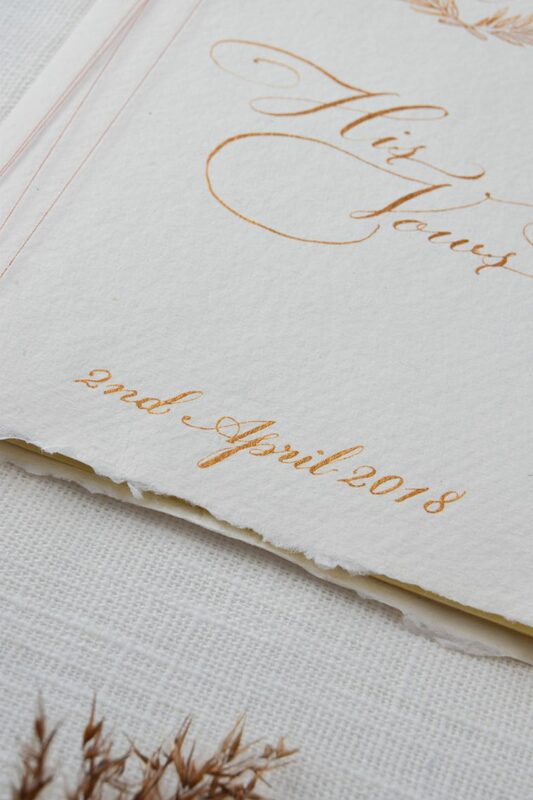 A beautiful wedding commission from lovely bride Jessica, who contacted me last year after seeing the Seraphine Semi-Custom suite. 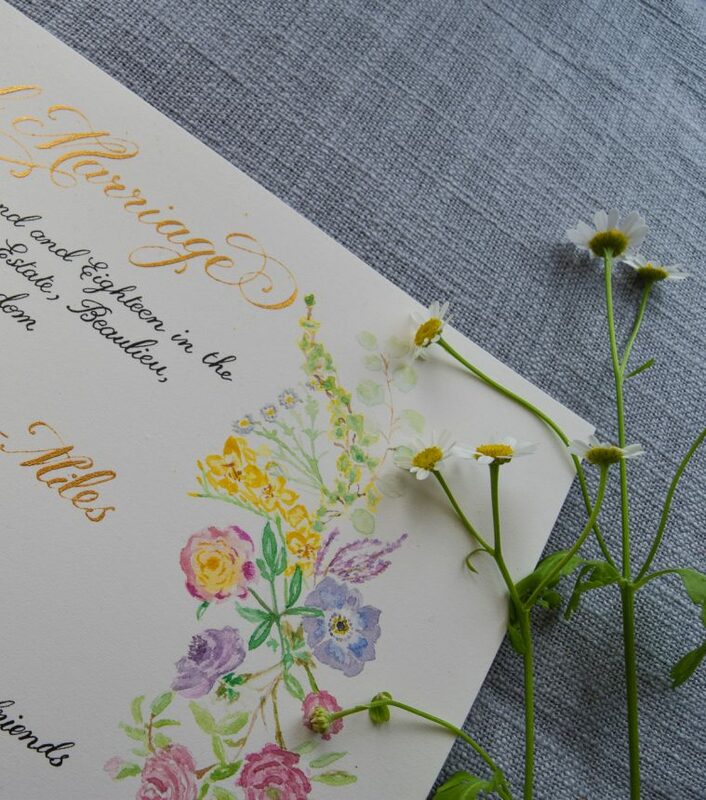 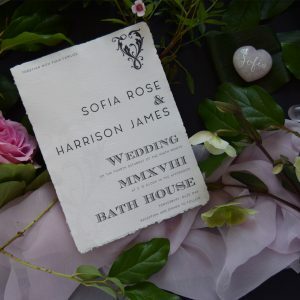 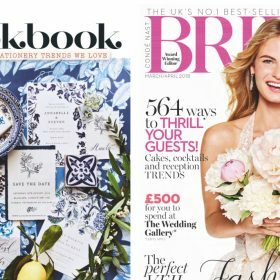 She wanted to create some special bespoke invitations for her wedding evening dinner with menus. 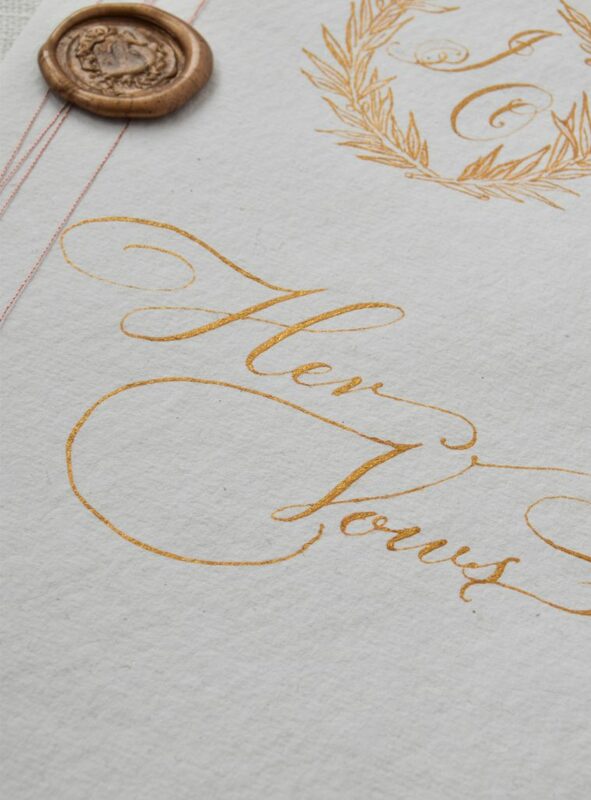 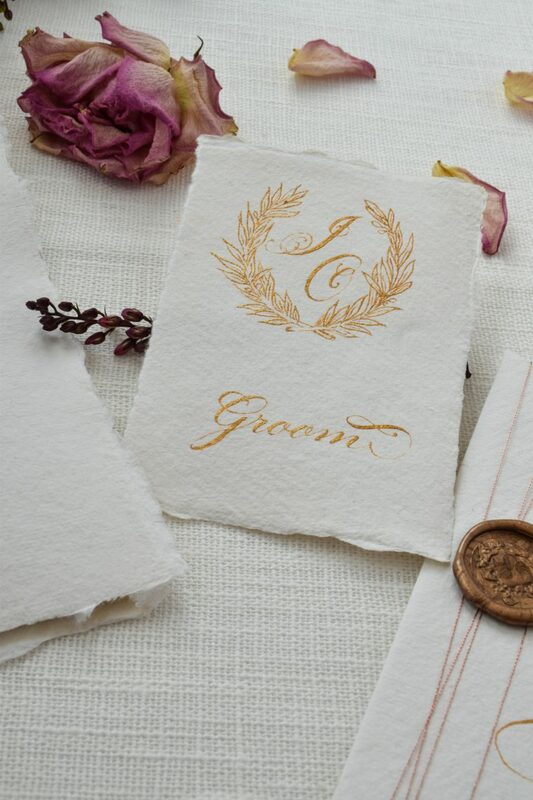 Every element was written by hand on handmade paper in gold ink. 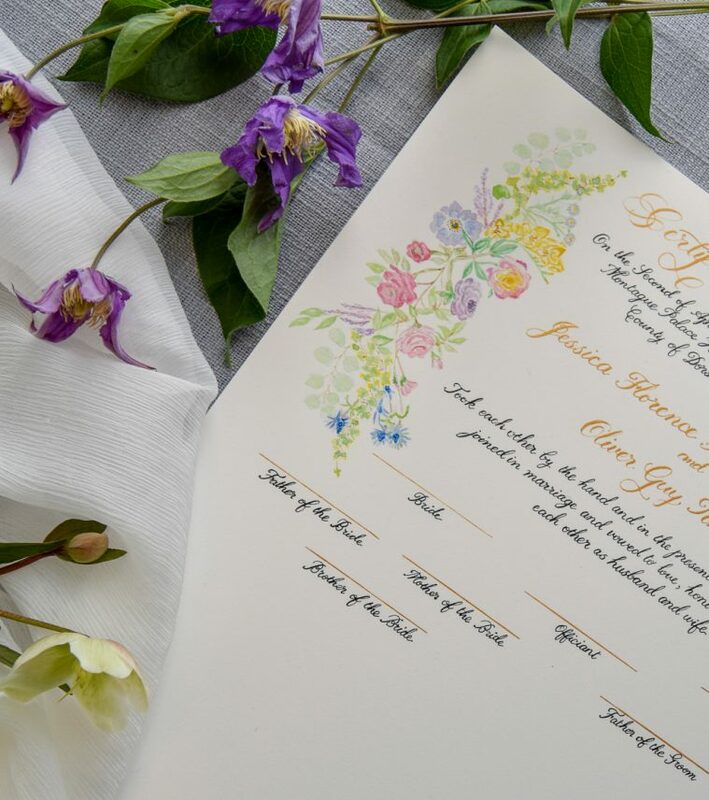 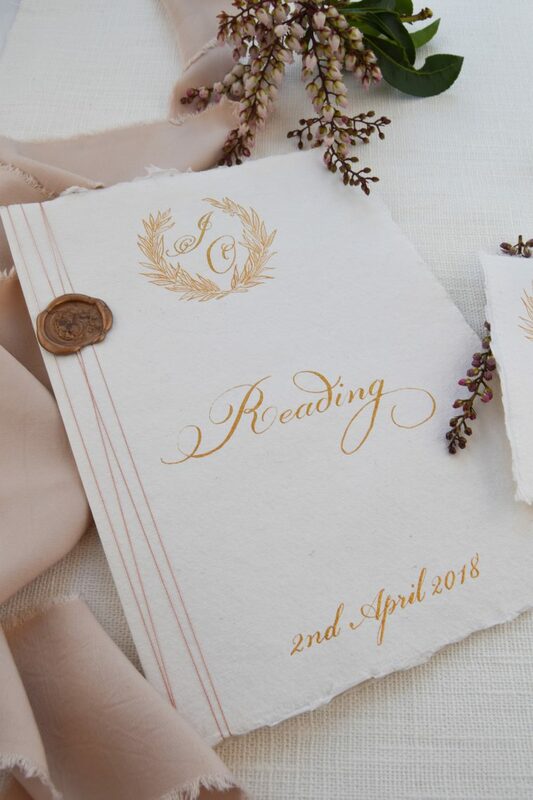 After the invitations were sent out she later commissioned me to create their vow and reading books, with place cards and finally a bespoke Marriage Certificate with hand painted watercolour borders on each side. 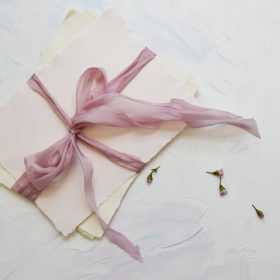 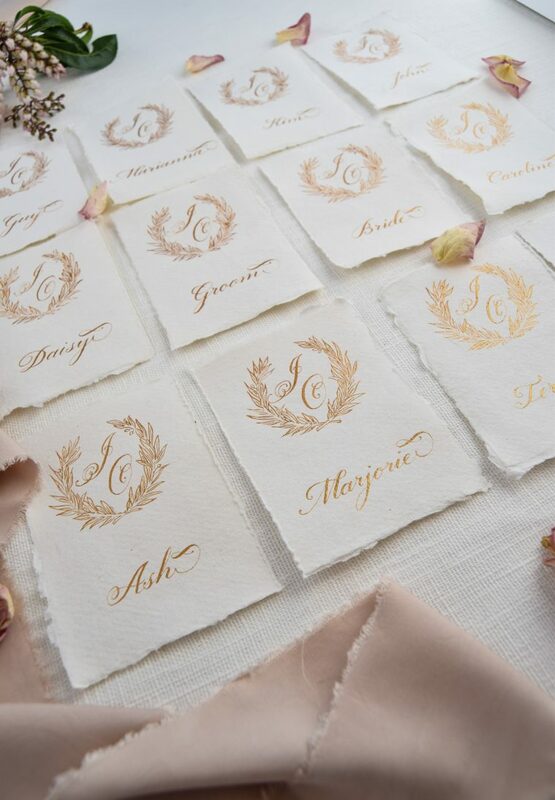 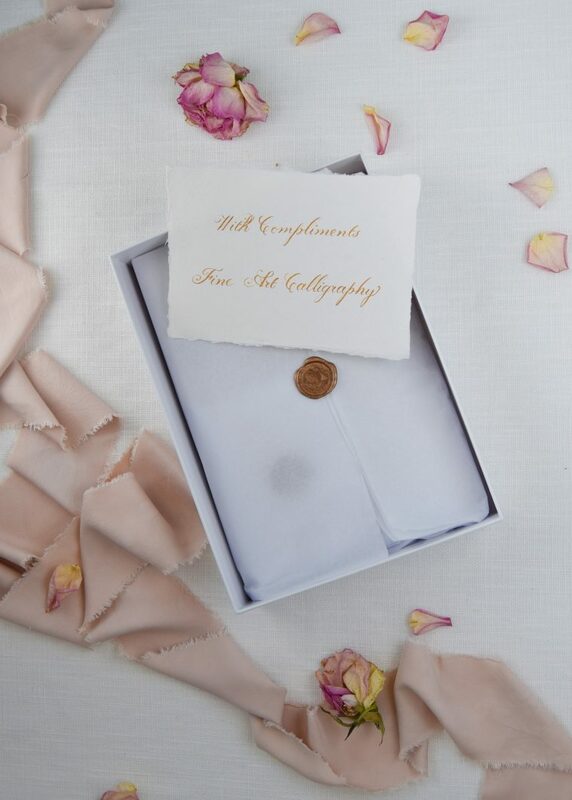 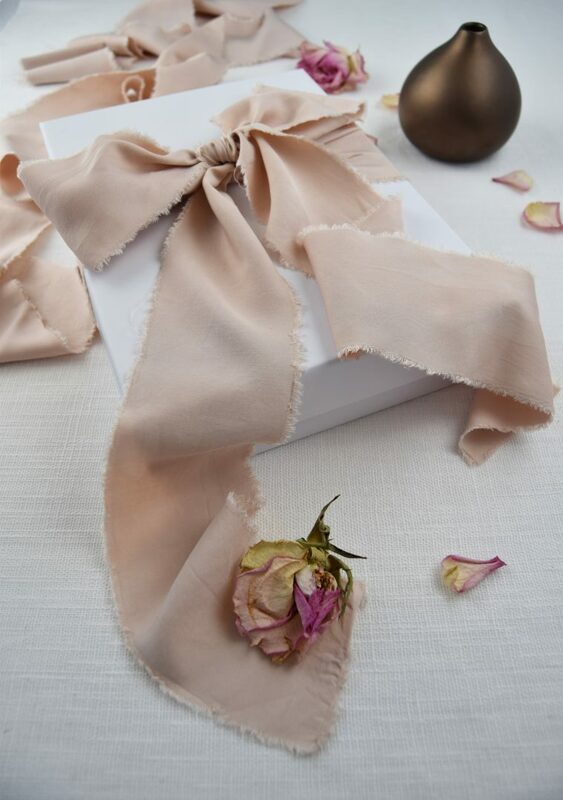 She also included the wrap from the Seraphine suite for some of the invitations to her close family. 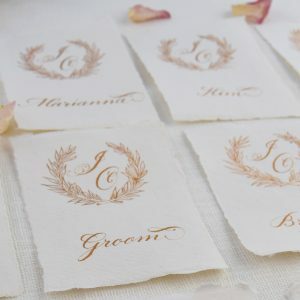 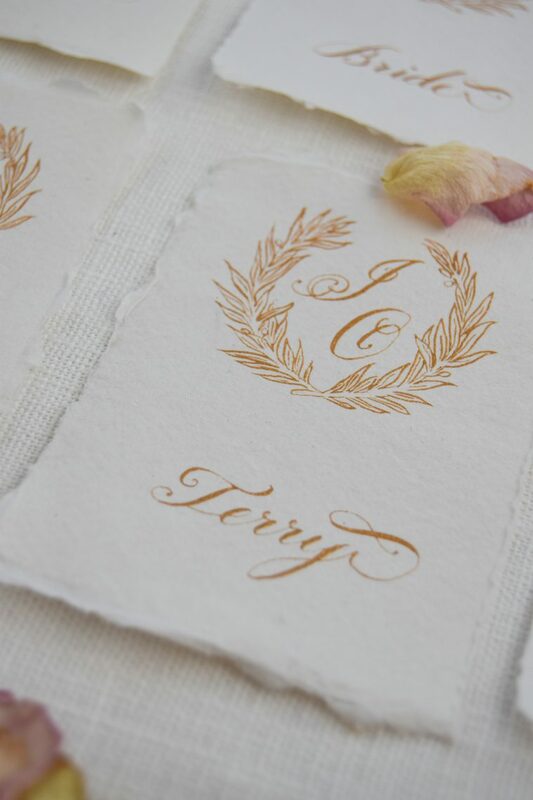 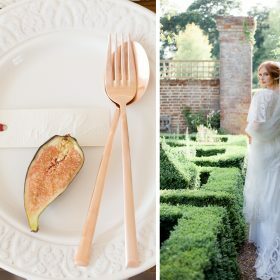 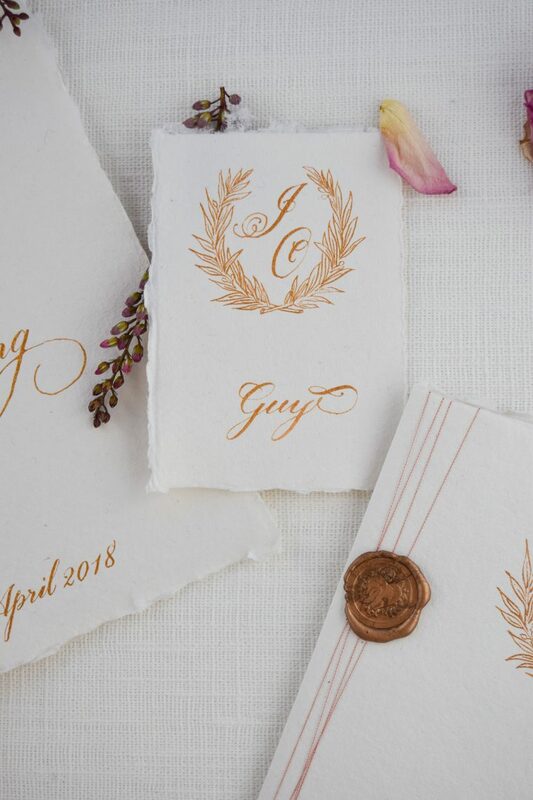 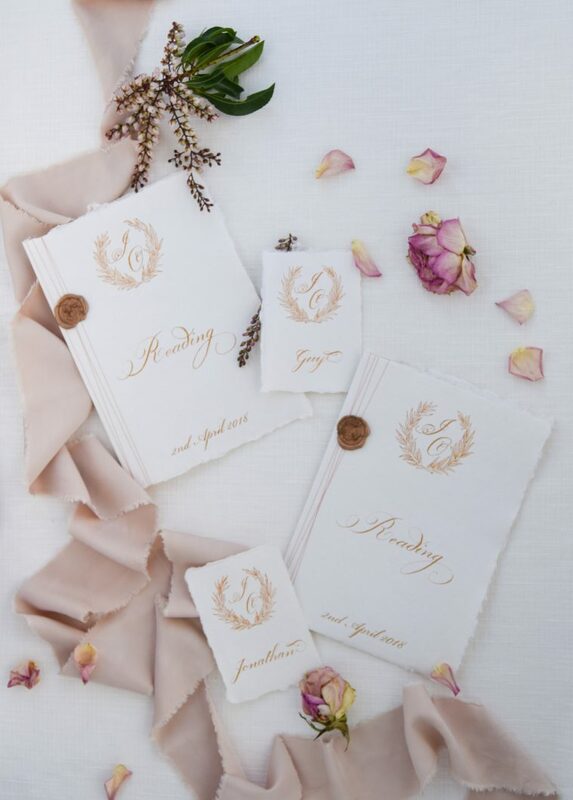 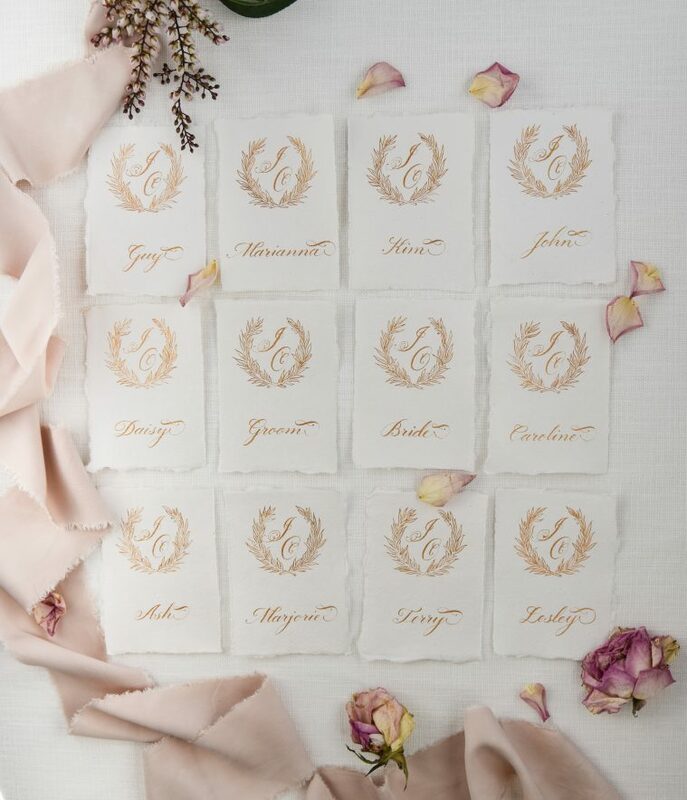 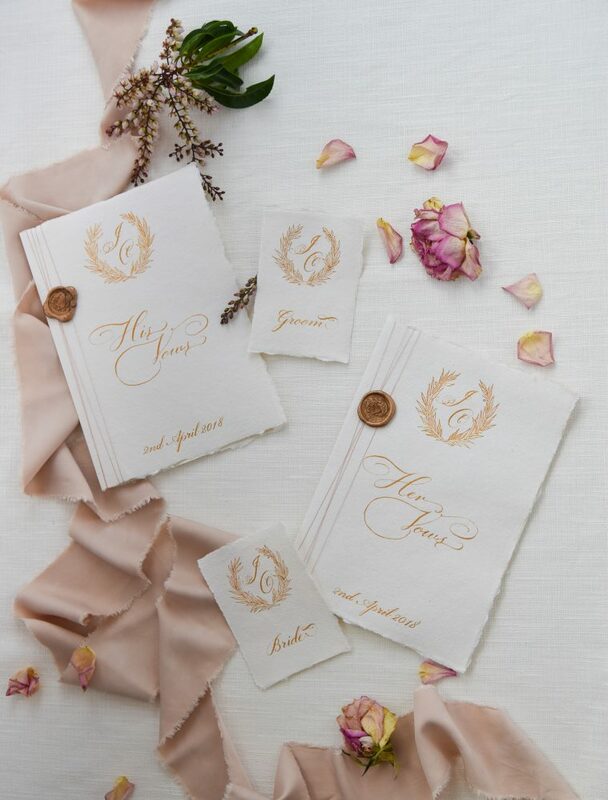 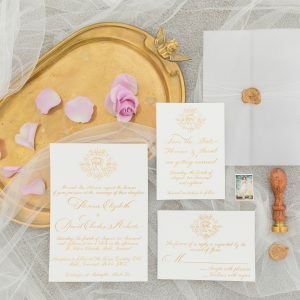 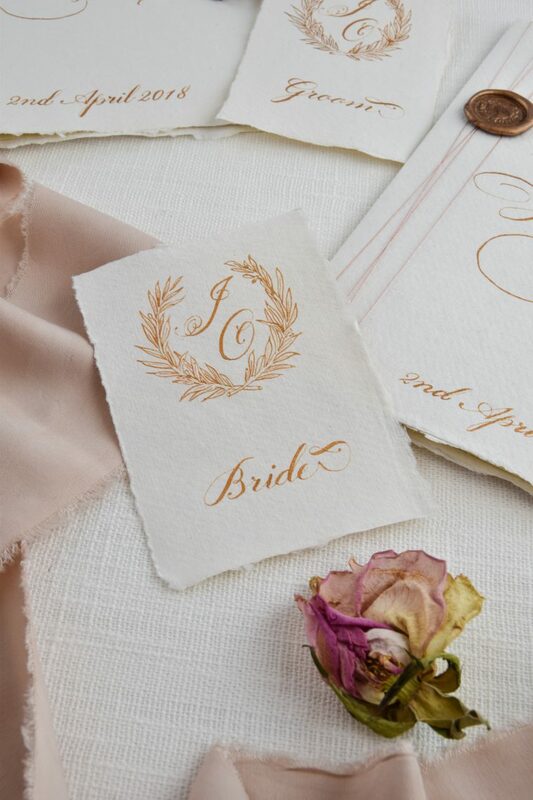 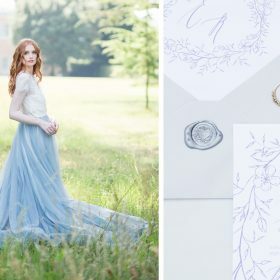 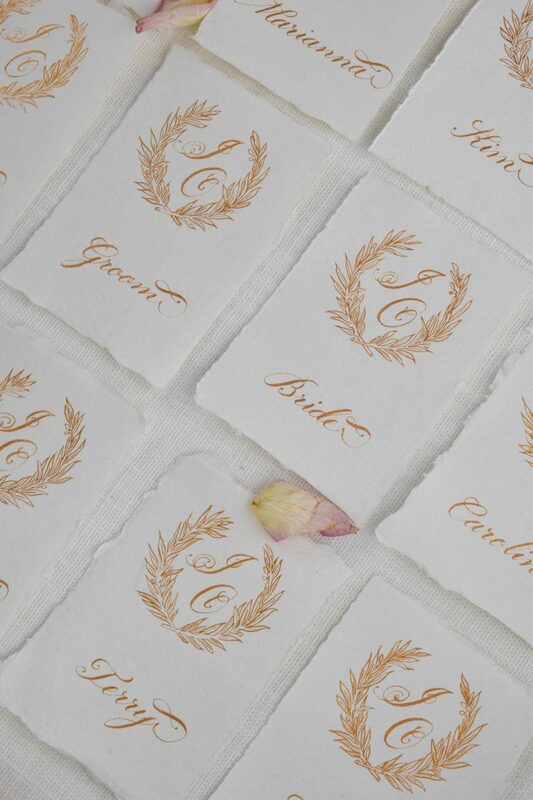 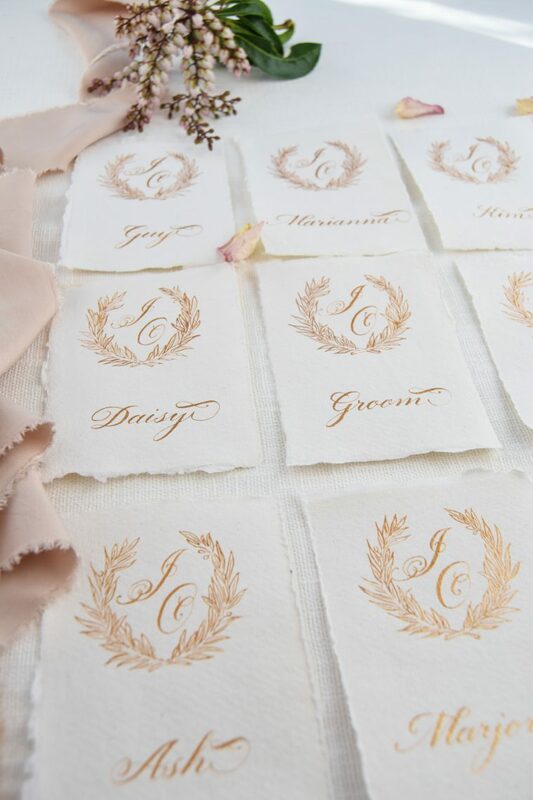 It was an absolute joy to create this very special, and thoughtful collection with their own wedding monogram, which was featured on their place cards inspired by the place cards from the Amelie suite.